Chief ZooKeeper has a serious love for Chinese food, especially chicken anything! I was hesitant, but decided to try this out. 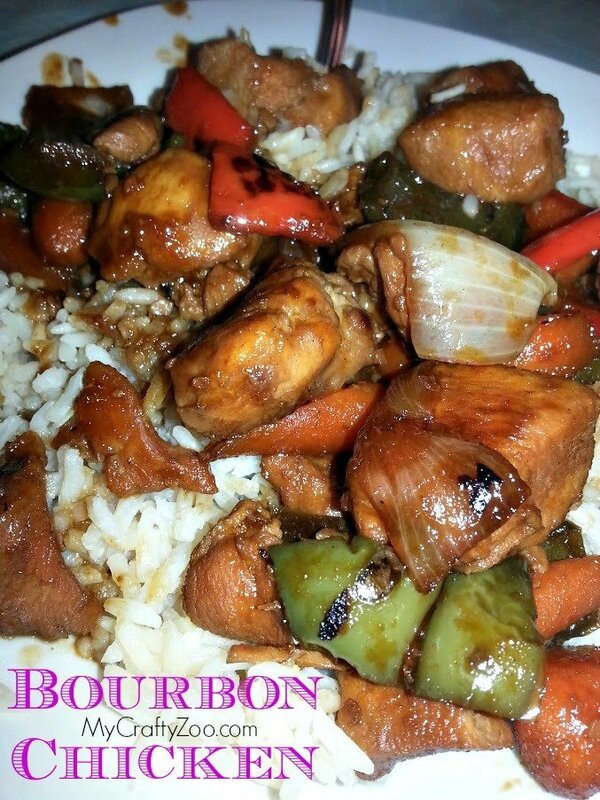 The Bourbon chicken and veggies turned out SO well! I love it when I surprise myself! It may not be every time, but when it happens I’m always so proud of myself! Saute chicken until lightly browned. Set Aside. Saute veggies, add garlic when it’s almost done. Combine ginger, juice, brown sugar, vinegar, water and soy sauce. Mix to dissolve brown sugar. Add chicken to veggies and pour in liquid mixture. Bring to a boil. I’d love to hear your thoughts and/or modifications!